KPIs for AD Suppliers, is a comprehensive review of the Key Performance Indicators (KPIs) that every supplier should know and measure, from materials on-hand, inventory and outstanding purchasing requests to inventory levels, slow-moving products and on-time deliveries. Download the full eGuide here. 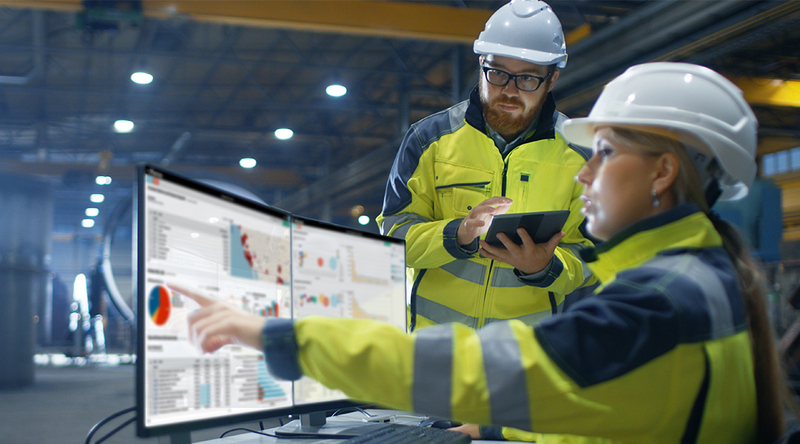 Suppliers understand the value of data and the need to harness it within their businesses, so much so that analysts expect the construction and industrial supply industry to spend billions globally on advanced analytics in the next five years. This eGuide is designed to help AD Suppliers recognise the key metrics that can be measured within the industry and how data is relevant to nearly every aspect of a company’s operations. The physical and digital world are coming together quickly in the manufacturing environment, from intelligent ERP software and smart sensors to mobile technology and Internet of Things. The challenge for AD suppliers is turning massive amounts of raw data into actionable insights. Decision makers that once based their actions on gut-feel or status quo are now turning to their corporate data to develop, justify and execute business strategy. There are no more excuses. Virtually every decision an organization makes can and should be influenced by the facts found in their business data. Your successes and failures are captured in departments and databases across your operations. 1.What do we need to know and measure? 2.What types of information do we need to make better decisions about our processes, products, people and places? 3.What key performance indicators (KPIs) are important to our business? 4.Do we have the systems and solutions in place to capture the information we need? 5.Can we analyze the data once we have it? The answers become the competitive advantage you need to grow your business and maintain a successful modern supply company. Like many suppliers, you currently have more software solutions and equipment producing data than ever before. You know there is value in the data you are collecting. You know that data is important to everyone’s role. And you know your success rests, in part, on your ability to slice and dice the data to optimize your business. Access to business-critical data at any time and from anywhere means everyone will be responsible for helping the business run leaner, increase margins and improve efficiencies. As your team uses data, they can be more effective at helping shape the future of your business. In this eGuide, we review more than 17 KPIs for a variety of departments, including inventory, purchasing, production, sales, logistics and distribution and finance. Tracking and analyzing KPIs can be extremely difficult and tedious as your data sources grow, and particularly if you rely fully or partially on Excel spreadsheets for reporting. Business Intelligence (BI) software plays an increasingly more important role as data becomes the currency for change. You can more effectively measure your business performance as you empower team members of all skill levels with the ability to access and analyze your business data. You and your team will be better prepared with the insights you need to make the right strategic decisions, optimize your processes, improve your workforce management and productivity, and reduce waste.